Gary received his Bachelor of Science in pharmacy from Auburn University in Alabama. He has over 30 years of pharmacy experience ranging from a variety of staff pharmacist positions he held early in his career to owning, operating and managing two pharmacies. 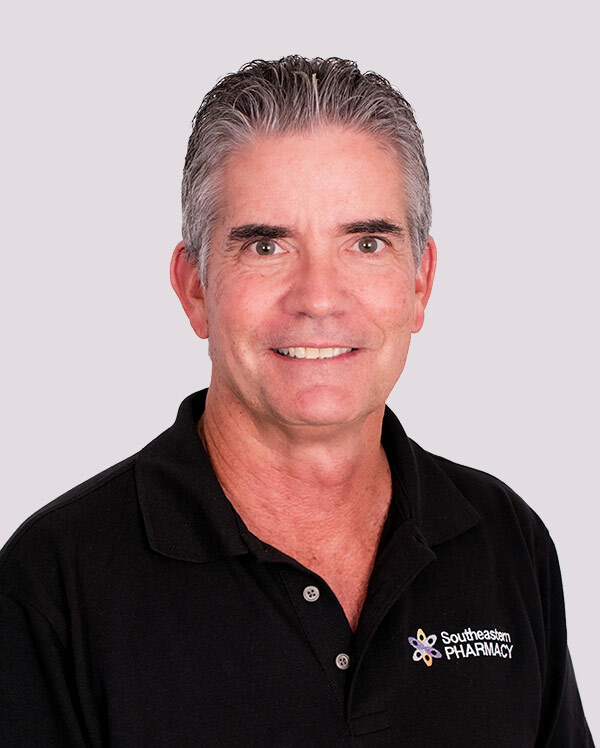 At Southeastern Pharmacy, Gary is involved in the implementation and ongoing enhancement of all pharmacy programs, including medication therapy management services, patient consultations, and our skin disease management programs. Gary is an active member of the Florida Pharmacy Association and The National Community Pharmacy Association.